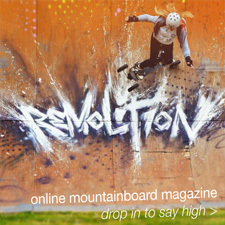 See the Friday Media Group website to find out more about them. 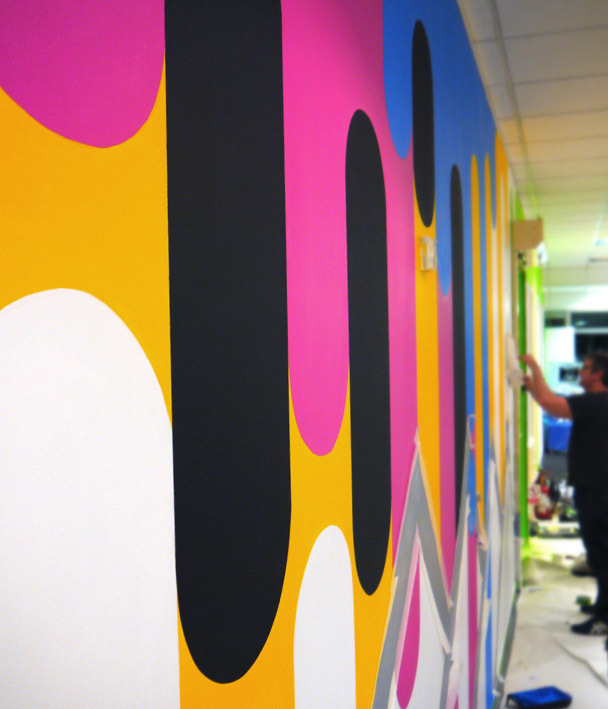 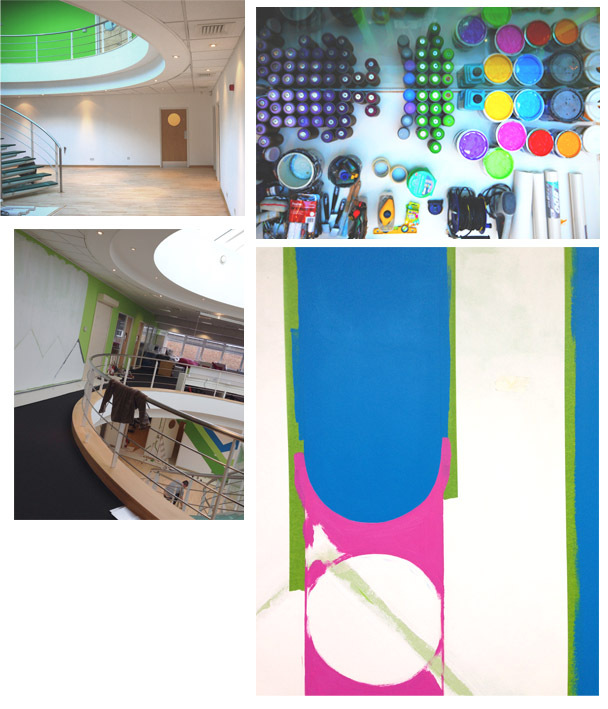 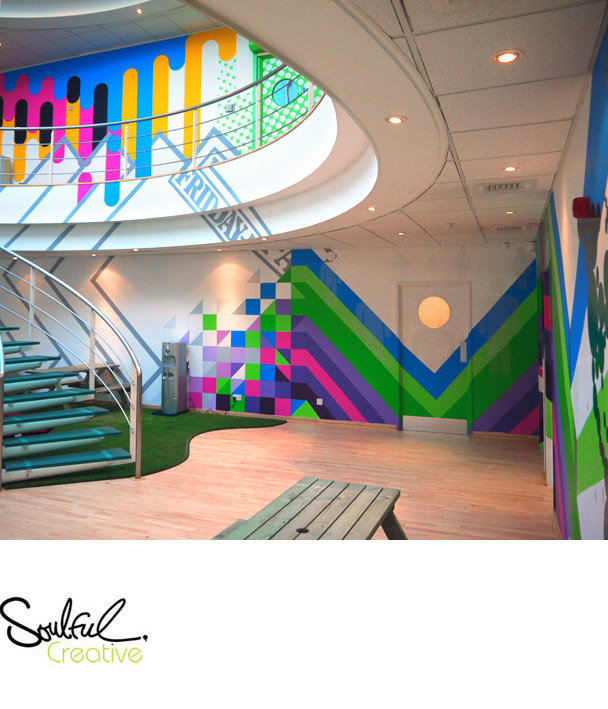 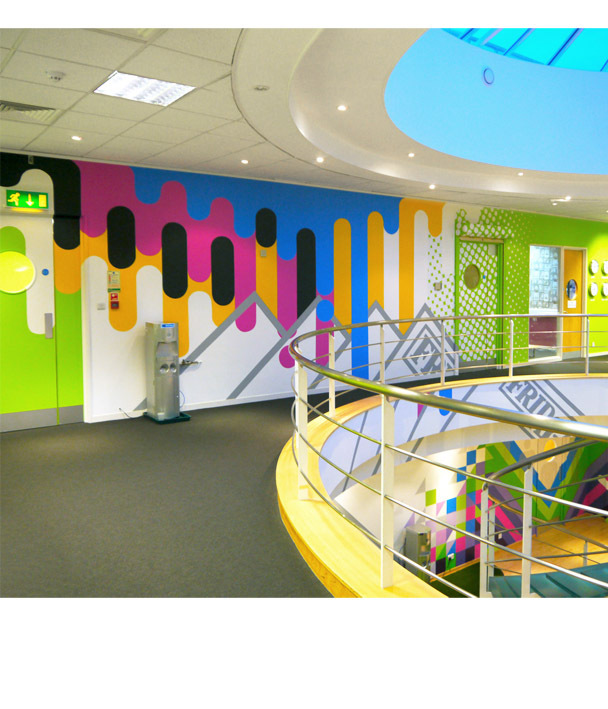 Soulful Creative was commissioned to invigorate the HQ of FMG near Brighton. 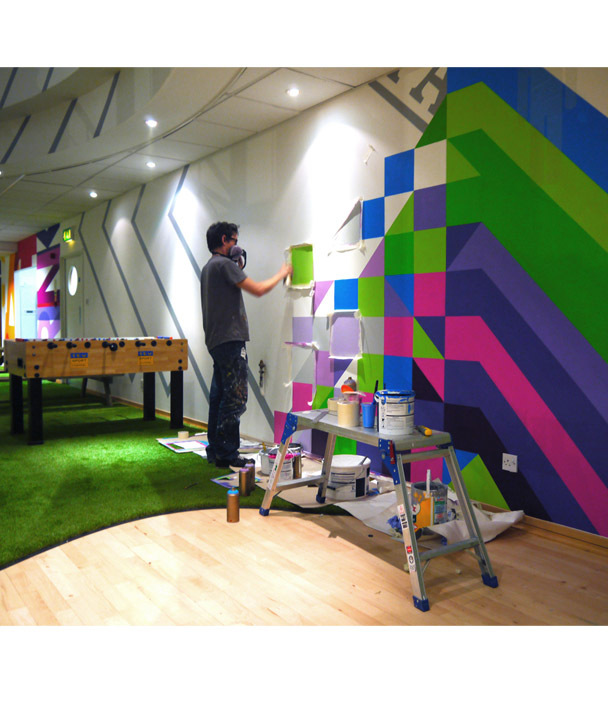 With Koze's design reflecting 40 years of print & media history, this massive vivid office transformation took place over 4 days. 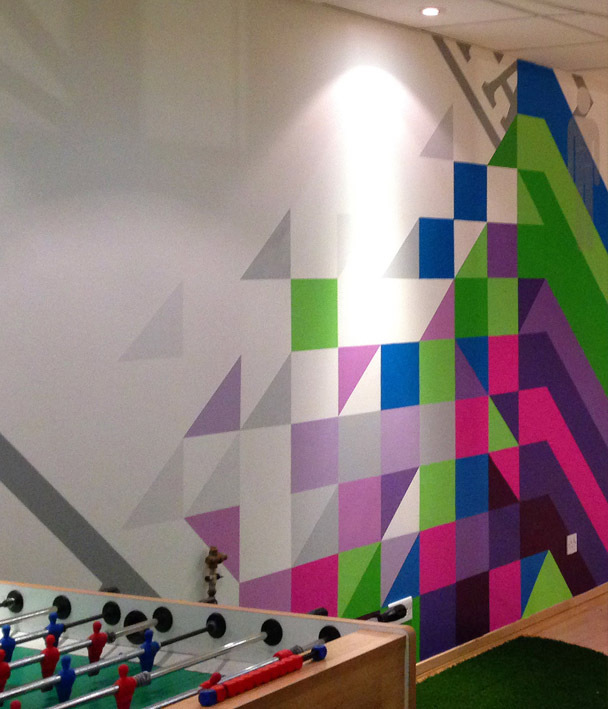 Decreate produced numerous parts of the design, including the CMYK drips and fracturing pixels.